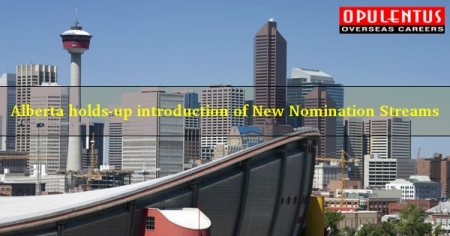 The Immigrant Nominee Program pursued by Alberta has delayed the introduction of changes in the nomination streams which were scheduled to be executed in January. An update dated Dec. 15th, says that AINP had put off the proposed changes for allowing more time to the provincial government, to hold consultations, with the concerned stakeholders. The AINP had made an announcement in October 2017 regarding consolidating its present Alberta Strategic Recruitment Stream and Alberta Employer-Driven Stream (as also the sub-categories thereof) under a single stream. It was proposed to have a single set of uniform eligibility criteria titled the Alberta Opportunity Stream. Simultaneously, the AINP also announced creating a new stream for economic immigrants which is aligned with the Federal Express Entry system. This allows the AINP to make a choice of candidates from the Express Entry pool and send an invitation to them to submit an application for provincial nomination. The Opportunity Stream was scheduled to come into effect on Jan. 2nd, 2018 and the Express Entry Stream was targeted to commence online in January 2018.The aim of these measures was to improve the position of foreign workers in the province to attain long-term success under the yardsticks which meet the requirements of federal government. It is expected that further updates will be made known in the New Year. The probable applicants can continue to submit an application in the existing streams of the AINP. To find out if you are eligible to Immigrate to Canada permanently, Email us at [email protected] or call us 7207111222. One of our experts will meet your expectations and provide answers to queries.